Jeremy Freeston, Tim Sutherland, Helen Goodchild et al. If the Medieval Dead could speak, what would they tell us? Some of the answers might come in a new six-part documentary series that will begin airing later this month in the United Kingdom. Medieval Dead blends history with archaeology and forensic research, focusing on the preserved remains of the people from the Middle Ages. From excavations dating back to the early 20th century the bodies of many such individuals are now being studied in groundbreaking ways as archaeologists use new methods of scientific analysis such as DNA sequencing and digital remote sensing - alongside traditional excavations and in the research library. The series follows stories which bring to life details of the lives of individuals of the medieval world - from soldiers who died in great battles to the lowliest of people who endured extraordinary hardship or disease during the course of their everyday lives. 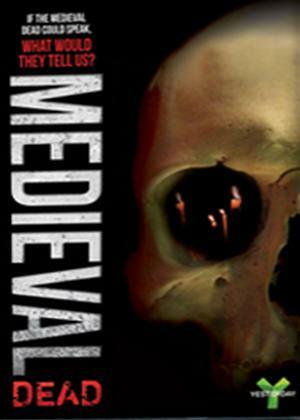 The series emphasises the human experience of the medieval period. Episodes include Richard III’s Lost Chapel; Last Stand at Visby; Agincourt’s Lost Dead; The Mysterious Woman of Tadcaster; Defenders of Masterby; Disease and Pestilence.